UFO hunter nexus r/UFOs have turned up a Disney documentary about UFOs and aliens that was originally used to promote the “ExtraTERRORestrial Alien Encounter” experience (The Wikipedia page describes the attraction, hilariously, as “theater-in-the-round”) that anchored Disney World’s Tomorrowland from 1994 to 2003. While numerous UFO sites are running the Disney documentary as a “lost” film, it has been available on YouTube for several years. Nevertheless, the “lost” Disney UFO documentary is a fascinating glimpse into both mainstream reportage on alien visitation and the modern UFO conspiracy mindset, which views the documentary as existing in a continuum of “disclosure” material designed to prime humans for the eventual reveal of extraterrestrial contact. “According to lore, the doc, which weirdly treats UFOs and aliens as virtually established fact, was shown once, without warning, on a few isolated small-market TV stations in quieter parts of the US, then stowed away. It was at a 1979 MUFON (Mutual UFO Network) Symposium when the alien disclosure theories surrounding Walt Disney first exploded into the conspiracist consciousness. Some say it was just propaganda to promote the new attraction Tomorrowland. Here’s the IMDb but with little info except a couple reviews. One of which from someone who claimed to work there at the time. 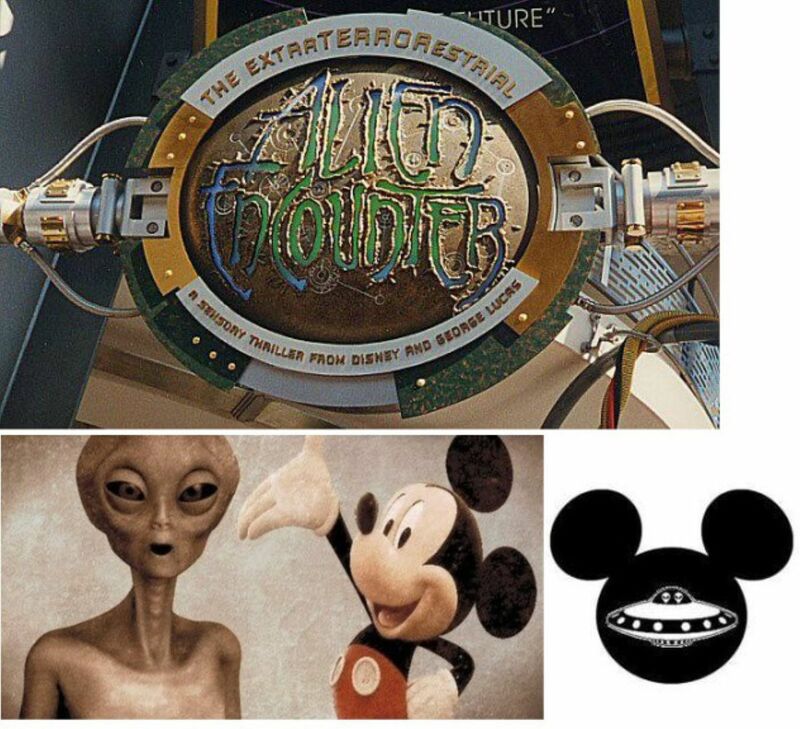 “As someone who worked at Disney/Magic Kingdom/Tomorrowland in the 90’s, I know, without a shadow of doubt (and the reason is was only shown once) is that the ENTIRE THING was a publicity stunt to bring attention to the new ride Alien Encounters. If you look at all the younger people being interviewed? They’re all wearing the exact costume that cast members from Alien Encounter wore. Some of the younger, no-name ‘witnesses’ were actually cast members from Opening Crew. The ENTIRE thing – every second of it – was publicity for the new attraction. The only reason it can’t be found now, is because Disney maintains control of it and it’s locked up in their archives. It was only shown in 5 cities, because they were target cities.